After a fantastic race Roy Nissany claimed the 3rd place in the WSR 3.5 by Renault held at the Red Bull ring in Austria. Roy had an excellent fifth qualifying time and moved up the starting grid by one position due to a driver’s exclusion. 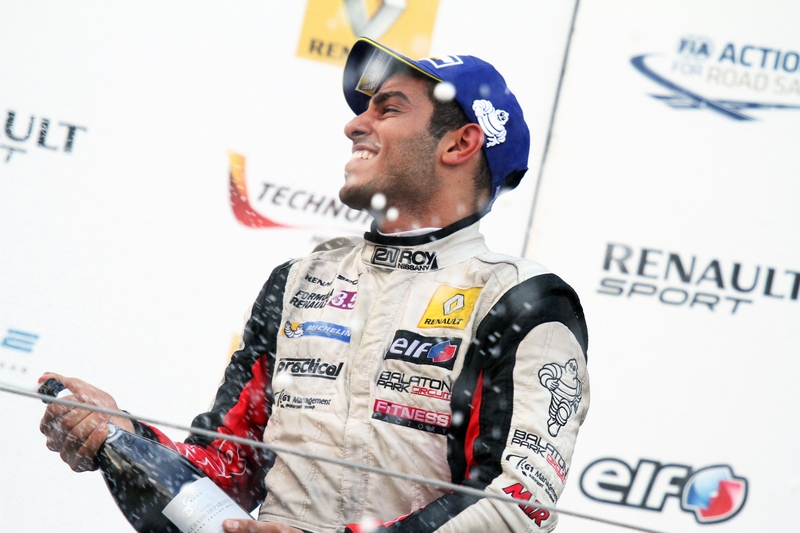 Nissany moved ahead and gained the 3rd position already on the opening lap. By keeping up his fast round times and driving a very strong race Roy managed to claim his first podium and moved several places up the racing ladder. “It’s great to be on the podium, it’s been a long time! The weekend got off to a very good start and we have done a great, really great job working as a team to develop the car. After lacking seat time during the winter, I have adapted and we have progressed ever since. The first points at Budapest and now a podium, onwards and upwards!”, said Roy.